How to reserve a limo for concerts near Gainesville. 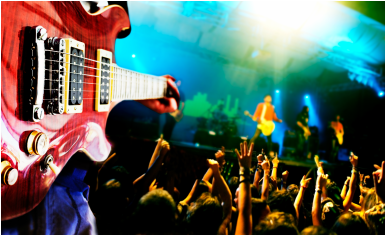 Outshine the talent when you attend your next concert! Concerts are high-energy, fun-filled musical adventures. Don’t let the stress of traffic, parking and navigating crowds of people ruin a great night out. We can drop you off safely and on-time before the show and pick you up at the end. With the ease and convenience of Gainesville limo rentals, you can party like a rock star without the worry of designating a driver, finding parking or dealing with the mad dash to the parking lot after it ends. 1. Rock out…then roll out! Don’t arrive at a great concert like a groupie, when you can show up like a VIP! We roll out the red carpet treatment for all of our customers. Our stretch limos provide great ambience and amazing sound systems. Use our epic entertainment system to start the musical magic on the way. 2. Classical concerts too. Prefer Mozart to mosh pits? Our classic limousines and town cars make for an elegant evening affair. Nothing is more posh than a private chauffer to a classical music concert. Make the moment even more magical with door-to-door service. 3. Make it a group affair! Concerts with friends are even better! Make it a group outing with a stretch limo and start the party before arriving at the concert. Arriving all together makes it easier to find tickets, find seats and find each other. 4. Avoid parking lot crowds. Nothing can kill the magic of a great night of music like sitting in parking lot traffic for an hour after the show. Avoid the mad dash to the parking structure by getting picked up curbside after the encore. Keep the party going all the way home. 3. Enjoy a great ride!